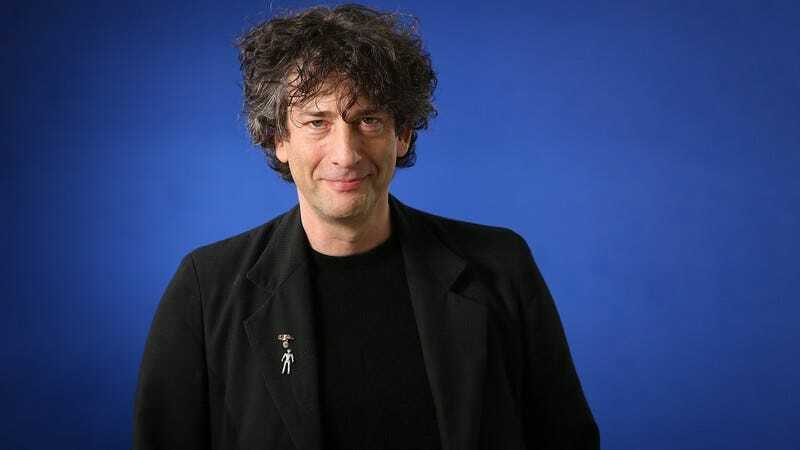 Raising the question of whether it will be renamed American Godz, Variety reports that Starz has ordered a TV adaptation of Neil Gaiman’s American Gods to series. The premium cable network partnered with production company Fremantle Media and executive producers Gaiman, Bryan Fuller (yep, of Hannibal fame), and Michael Green to develop the series last summer, so it’s not terribly surprising that it’s following up that commitment with a series order. But after the project was abandoned by HBO, it’s nice that it finally found a network that gets it, you know? And Starz isn’t hesitating to move forward with the series: Production will reportedly begin as soon as an actor is found for the lead role of Shadow Moon, an ex-con who serves as a bodyguard for Mr. Wednesday, an ancient god disguised as a con man. In their travels across the U.S., the duo meets and interacts with a host of deities imported by cultures around the world, as well as New American Gods who represent modern inventions like the internet.